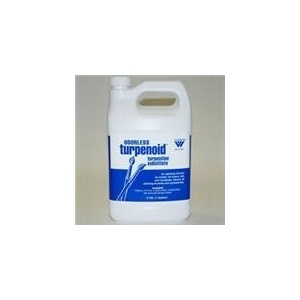 * An odorless, very volatile, thin, colorless, turpentine substitute, Turpenoid® has the same painting properties and drying time as turpentine but is free from the strong characteristic turpentine odor. 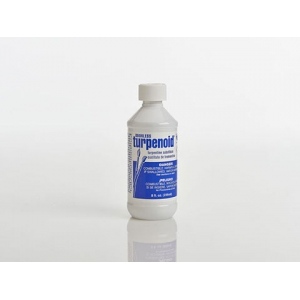 * Compatible with oil colors as a painting vehicle, either alone or in mediums. 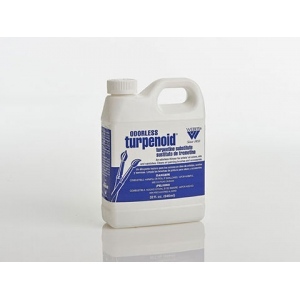 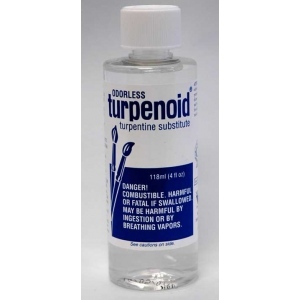 * Turpenoid® is also excellent as a solvent or paint brush cleaner, and for use in removing paint spots from clothing.